In today’s increasingly digital world, the IT infrastructures supporting the provision of essential services are becoming more complex and critical to effective operations. The EU’s Directive on the security of network and information systems (NIS), establishes an advanced set of cyber security objectives for organizations supplying essential services in the EU. 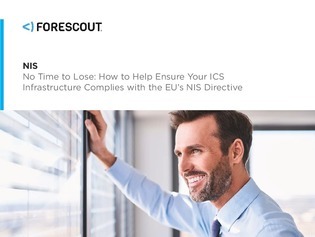 This e-book explains the NIS Directive and its implications for essential service providers that depend on ICS networks to operate effectively. It also defines how essential service providers should assess solutions designed to support NIS compliance.